When you go to buy a fresh live lobster, its front claws will be banded - this is to stop them fighting - make sure they have two claws - some of the best meat is there. They should be lively and when you pull the tail, it should spring back into place. A female lobster has a broader tail, but there is no difference in the taste, so it doesn't help to be able to identify them. The best weight for your fresh live lobster is round 1.5 to 2lbs (750g to 1k) as it is the tenderest and sweetest. You will need one lobster per person if you're serving it as a main, you can do a half lobster per person if it's an appetizer. 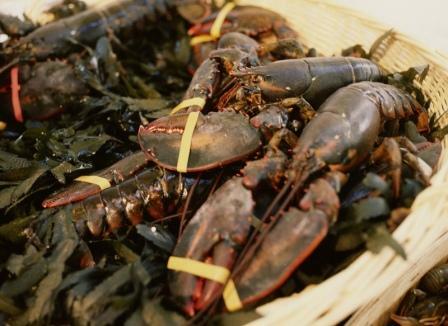 Storing your lobster - when they arrive, they should be packed in seaweed - you can keep them in the fridge for 48 hours or so - they will not go walkabout ;-) so don't put them in a box with a lid on. So Cooking a Live Lobster - well lots of myths but what's the truth? Most research indicates that lobsters have a primitive nervous system and do not feel pain. Some people like to desensitize the lobster prior to plunging into boiling water. You can do this in one of two ways. Either immerse in salted water for 15 minutes or wrap them in paper and put them in the freezer for a couple of hours. 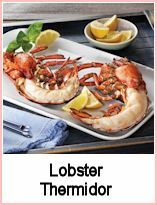 Get a large pan - big enough to take your lobsters and fill it half way with salted (1 tbspn per 2 pints) water - bring it to a rolling boil. Take your lobster and plunge them into the water head first. Some people claim that they hear a scream - you should hear nothing, but if you do, it's air escaping from the carapace - being forced out by the hot water. Bring the water back up to the boil and then simmer for 10 minutes per lb and 3 minutes per lb over. They are done when the shell is bright red and the antenna come away easily. 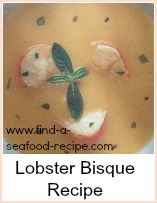 This is how you prepare the lobster for eating whole or putting into sauces to heat the meat through. If you want to use a 'raw' lobster for grilling, broiling or barbecuing, I would NEVER kill it with a knife in the head. I just couldn't do it - apparently, the lobster flaps around a fair bit afterwards and I'm just too squeamish for this method. The way to do it, is to plunge the lobster into the boiling water and then just cook for 2 minutes or so. Then you can split it in half, take out the sac between the eyes, the feathery gills and scrape out the intestine - a small black thread running along the center of the tail meat. 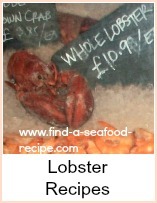 You can store a cooked whole lobster in the fridge for 48 hours or meat extracted from the shell immediately for 4 days. Don't leave it in the shell for longer than 48 hours and if you're going to keep it longer, then shell it immediately you can handle it after cooking.